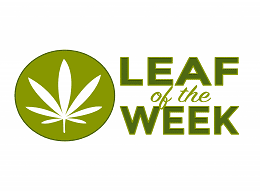 Home » Leaf of the Week » The Mile High 4.20K Comes to Denver on 4/20! A mile higher. A mile healthier. That’s the slogan for the first ever 4.20K walk/run coming to the mile-high city on 4/20/2019. Denver is well known for having an overwhelming number of events catering to the cannabis lifestyle, and now there’s one specifically for athletes, fitness enthusiasts, and anyone looking to promote the health and wellness benefits of this remarkable plant. The event is designed to “raise awareness and promote a healthy lifestyle with cannabis for medicinal purposes; physically, mentally, and psychologically. Finding different ways to give back to the community without a bad connotation of natural herbs and the benefits they can bring”. The run/walk will take place at Sloan’s Lake Park and will also feature a pop-up shop for special vendors at the Salvage Center at 1200 W. Evans Ave. immediately following the race. Businesses exhibiting at the event will include medicinal vendors and informational tents focused on the medicinal purposes of cannabis, as well as food trucks to feed hungry race participants. One of the businesses you can meet in person at the event is Gofire, a company with a focus on taking a mindful approach to alternative health. 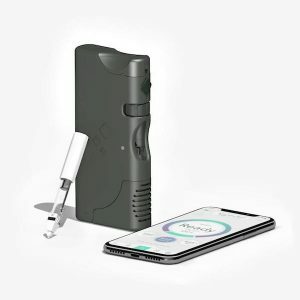 They will have their innovative Gofire inhaler on display which can be paired with their unique mobile application to track and monitor the delivery of plant-based medicine in measured doses for a consistent, personalized experience. They will also be sponsoring Olympian and star triathlete Dr. Joanna Zeiger, who will be running in the race to help raise awareness for plant medicine. In addition to the organizers’ goal to promote cannabis as part of a healthy and active lifestyle, they will also be giving back to the cannabis community by donating 20% of the proceeds to non-profits and/or research for medicinal use. The 4.20K course, which roughly translates to 2.6 miles, starts at 8:00am MST and ends at 11:00am MST. For a limited time only, you can register for tickets for $35, but prices increase to $50 after March 24th.